17 Mar 2019 / 17:49 H.
PETALING JAYA: The cleaning up process along 1.5km of Sungai Kim Kim in Pasir Gudang, Johor, following toxic chemical dumping activities has been completed today. Energy, Technology, Science, Climate Change and Environment Minister Yeo Bee Yin said 30 teams from her ministry would continue to monitor the conditions there. She said the teams comprised members of the environment and chemistry departments. They were deployed to 30 schools located three to 9km from the river to monitor air quality using gas detectors. 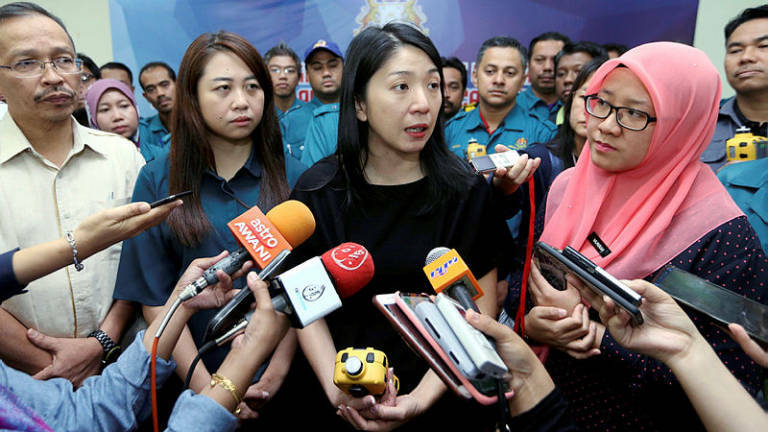 “The 1.5km-stretch of Sg Kim Kim that was polluted has already been cleaned up, but today we want to see what ‘touch-ups’ we can do,“ she told members of the media at the state Disaster Management Committee’s operations room. Yeo said the full report on the air quality in the area would be announced tomorrow. An illegal dumping of chemicals into Sungai Kim Kim last week affected health of more than 1,000 people, mostly pupils of schools situated near it. A total of 111 schools near the river have been ordered to be closed until further notice. Meanwhile, cleaning works of a pond in Taman Eng Ann in Klang which was contaminated due to illegal dumping is 85% completed. A Selangor Water Management Authority (Luas) spokesman said investigations into the parties involved in the illegal dumping are ongoing. A lorry believed to be involved the dumping was also identified. Luas is expected to release a progress report on the clean-up tomorrow. A portion of Sungai Klang was found to be polluted by a chemical substance on March 14. Luas director Datuk Hashim Osman said the affected part of the river was confined to a stretch near Taman Eng Ann in Klang. Another case of illegal waste dumping was detected at an oil palm estate in Bukit Teh, Bukit Mertajam, Penang. Penang Fire and Rescue Department director Saadon Moktar told theSun that 15 barrels of chemical were found in a scrapyard in the estate. Samples of the chemical were collected and handed over to the Department of Environment (DOE) for tests.